A recent study, conducted by US scientists, found that even if people do not count calories or limit the size of portions eaten, those who reduce the consumption of added sugar, refined grains and highly processed foods and concentrate on eating lots of vegetables and whole foods, manage to lose significant weight over the course of a year. To carry out the study, 600 people with obesity or overweight were selected and divided into two groups: the first group adopted a low-carbohydrate diet and the second group reduced their fat intake. Both groups were advised to reduce sugar and refined grains, as well as increasing consumption of vegetables and unprocessed foods. They were also trained to choose foods with high nutritional value. The group reduced in fats prioritized foods such as brown rice, barley, oats, lentils, lean meat, quinoa, fresh fruit and legumes; while the group reduced in carbohydrates maintained a diet of foods such as salmon, avocado, vegetables, solid cheeses, olive oil and nuts and seeds. The method was valid both for those who followed diets low in fat and low in carbohydrates. In addition, its success did not seem to be influenced by its genetics or by its carbohydrate insulin response, a finding that casts doubt on the increasingly popular notion that different diets should be recommended based on genetic makeup or tolerance to carbohydrates or fats of each person. The research supports the notion that the quality of the diet, and not the amount of food ingested, is what really helps people lose weight and control their weight more easily in the long term. The new study delves into previous research on weight loss, which did not establish extremely restrictive limits for the consumption of carbohydrates, fats or calories. In the new research, however, people were asked to put more focus on eating as many healthy foods as needed to avoid hunger. 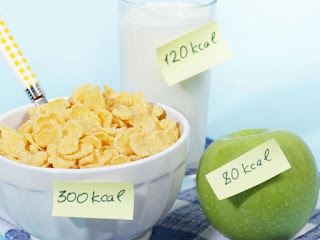 According to Christopher Gardner, director of nutritional studies at the Stanford Prevention Research Center, that does not mean that calories do not matter. After all, both groups ended up consuming fewer calories on average, even though they were not aware of it. The key is that they did so by focusing on nutritious whole foods that satiated their hunger. "I think we were wrong to ask the individuals to determine how many calories they had ingested and then demand that they reduce that consumption by 500 calories, that makes them feel very bad. We really have to focus on a basic diet, which is to consume more vegetables, more unprocessed foods, less added sugar and less refined grains, "concluded Gardner.